Fee for Service or Fee for Wellness? Imagine picking your car up from the repair shop only to go a few miles and have the same part fail. When you take it back to the shop, they ask you for more money to make the same repair, again. You’d probably say, “You’re crazy !,” right? This is a common analogy made when discussing the penalties Medicare has imposed for 30 day re-admissions of patients hospitalized for 6 different disease states. Except, is it really the correct analogy? 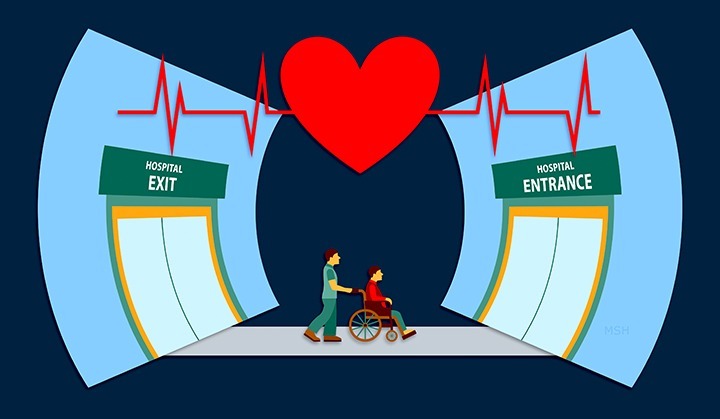 A provision in The Affordable Care Act created penalties for hospitals with ‘excessive’ readmission even if the patient is being re-admitted for something completely different! It is more common for heart failure patients to be admitted with complications and co-morbidities than it is for them to present with heart failure alone. So, after that patient is discharged from the hospital, things like diabetes can flare up with new medications or variations to activity levels. Treatments for COPD can be affected by the treatment for Heart Failure. And new things can show up like depression, which isn’t that uncommon for any patient newly diagnosed with a chronic disease. So, maybe the better analogy to make is you pull out of driveway after getting the air-conditioning repaired and 20 miles later, the transmission goes out. Should the auto-repair shop be penalized or have to pay for that? Should that shop-owner’s quality ratings go down because your car required an unrelated repair? Maybe your car had 100,000 miles on it before it got to the shop and, of course, there’s going to be more trouble eventually. What if your auto-repair shop only deals with exclusive types of antique cars that are likely to have multiple problems, any one of which could rapidly accelerate the creation of another. Should they be under the same rules as the Jiffy Lube that only changes oil, air-filters, and tires?